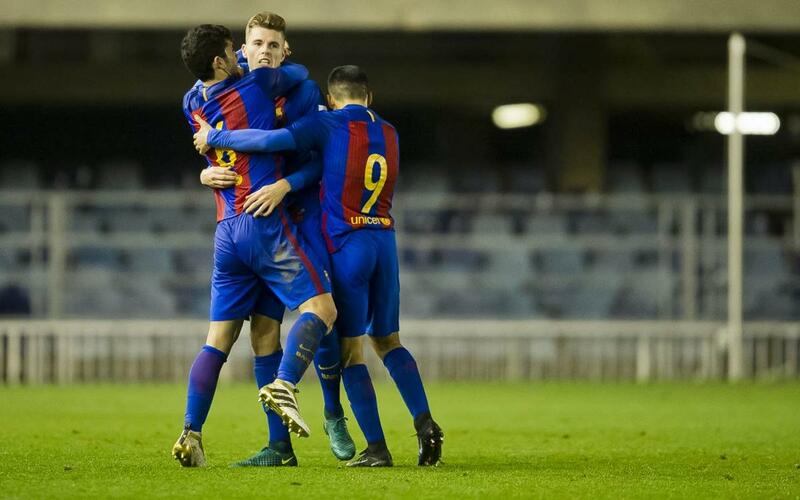 Barça B were on the verge of home defeat to second placed Alcoyano, who would have become first placed Alocoyano had things stayed that way. But Gerard Gumbau stepped up with an absolute corker of a goal four minutes from the end to secure a 1-1 draw at the Miniestadi. This was always going to be a cracker. The action was fast and both teams were ready to take it to the utmost limit, but their respective qualities actually ended up cancelling each other out for much of the first half, with Álvaro getting the best chance for the home side. José Suárez made two great saves to prevent Navarro from putting the visitors ahead after the break, but the Alcoyano pressure eventually paid off for them with David Torres meeting a free kick at the far post to convert after 52 minutes. The visitors seemed happy enough defending that lead, and a stop-start game began to lose much of its beauty. Gerard López opted to play just three at the back in a late flurry, but that left his side vulnerable in the rearguard. They were fortunate not to go further behind when Barreda squandered his chance. Then came Gumbau’s moment – an absolute scorcher of a free-kick that not even a ten-man wall could impede. The draw means that Barça B stay top of the table, still with a two-point lead on today’s opponent.